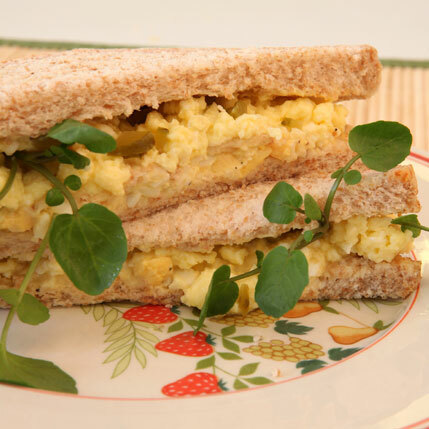 Mix the chopped egg, gherkin, watercress and mayonnaise together. Spoon filling generously on buttered bread and garnish with fresh watercress sprigs. To make a deluxe sandwich, include crispy fried bacon and mozzarella cheese.